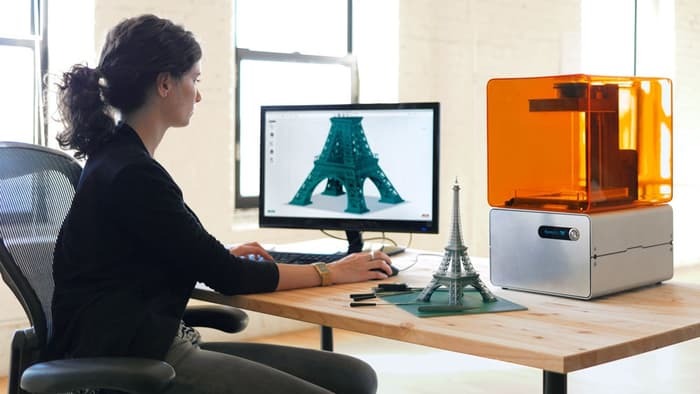 Today we are taking a look at the 3D printing software designed for Apple products. So, if you got yourself a MacBook and feel it is not performing as you wanted, hold on to it, as the Mac will really make a run for your money. Many changes have been taking place and there is more software for the use of Mac with a 3D printer. It is hard actually, to zero down this list to any top three, since pretty much all software will do a great job on your Mac. There have been more functionalities been added. On the other hand, the diversity of software out there provides you the chance to decide if you want something more appropriate for beginners, something to work offline, or if you require no installation. We will try to provide the most exhaustive review of three of the best and most popular 3D printing software for Mac users. This is how Simplify 3D introduces its service. According to its creators, Simplify3D is an “integrated software solution”. To many users, it is a slicer for 3D printing and it is way overpriced. Now, is it only a slicer? Ok, yes but it does some more. The software allows you to optimize a model for 3D printing. Admittedly, it is pretty fast. When compared to Cura, the time for slicing was much faster. A neat preview. Probably one of the most impressive features. You can preview the entire printing process and even mover around in angles. This is great to optimize and troubleshooting your models. Intelligent support structures. Automatically, the software creates intelligent support structures and gives you full control of the model. Dual extrusion wizard. This wizard makes configuring dual exclusion prints for two-color prints pretty easy. Several printing modes. The software supports three modes when printing three objects simultaneously. Is it worth the money? The software starts at $150. Sounds too much when you think of other software that is free. But it is probably pretty worth it given all the features and full control you have over your model. It so appears that Cura by Ultimaker is a great choice for beginners. The company was created under the name Cura by David Braam, who was later hired by Ultimaker to maintain the sofware. If you buy an Ultimaker printer, you probably want to download this software. You know, when you get a pair of the same company working for each other, you know you will be getting great results. But not only beginners can benefit as more experienced users can also customize 200 settings to better personalize their models. You can also print several things at the same time and each object will have different settings. The software for Cura is open and completely free. It provides the versatility of managing your own 3D printing flow and let you have the control of the entire process. Well, cutting the model into horizontal slices is what pretty much all printers do. However, generating toolpaths and calculating amount of material extruded gives them a little edge. Slic3r, a 3D slicing engine for 3D printers, generates 3 codes from 3D CAD files. When the model is done it is sent to the printer for the manufacturing of the model. Slic3r was created in 2011 within the RepRap community to provide the community with fast and reliable 3D printing. Very importantly, too, it should be free. The company is actually composed or based in a community of people who work together thinking of ways to optimize the software. But what makes this software so great? Probably the fist one is that it is free. There is a community of developers working hard to make sure the software comes out better every time.